Colours and deodorants both have the power to boost our confidence. 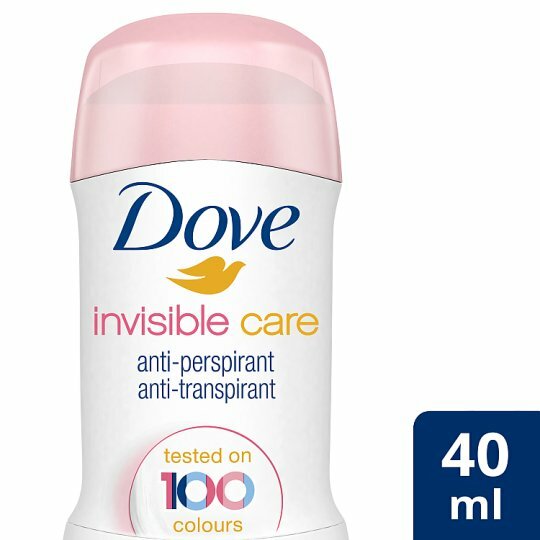 And when the last thing you want to worry about is finding white marks on your favourite clothes, we’ve got the perfect thing to tie the two together: Dove Invisible Care Anti-Perspirant Deodorant. Proven to leave no white marks on 100 colours, Dove Invisible Care gives you the freedom to wear the brightest, boldest colours safe in the knowledge that you’ll be free of incidents. With our 1/4 moisturising cream and 0% alcohol formula, using Dove Invisible Care Anti-Perspirant Deodorant helps your delicate underarm skin to recover from irritation caused by shaving. Pair it with your most colourful clothes and forget about those deodorant stains for good. Choose Dove Invisible Care Anti-Perspirant Deodorant to give your morning a floral touch with the certainty of no white marks and 48 hours protection for your underarms. To get the best out of your Dove Invisible Care Stick, apply the deodorant gently to clean, dry underarm skin. You'll feel how easily the anti-perspirant deodorant glides onto your skin, so you just need to make sure each underarm is covered. Then you’re ready to go, and you can rely on your deodorant to keep you smelling and feeling great all day.